There is no shortage of magic in this tale. The setting of this story, post war, and the injuries which Laurence has suffered, add to the questions of this being real or illusion. Thanks to fate intervening in many helpful ways, there is just a hope that he and Avery may stand a chance. Beautiful concept, delicious pair of men, and great mix of old and new. Thank you, Ms. Durreson, for a lovely festive read. AMY RAE DURRESON is a quiet Brit with a degree in early English literature, which she blames for her somewhat medieval approach to spelling, and at various times has been fluent in Latin, Old English, Ancient Greek, and Old Icelandic, though these days she mostly uses this knowledge to bore her students. Amy started her first novel twenty-one years ago and has been scribbling away ever since. Despite these long years of experience, she has yet to master the arcane art of the semicolon. She was a runner up in the 2014 Rainbow Awards. 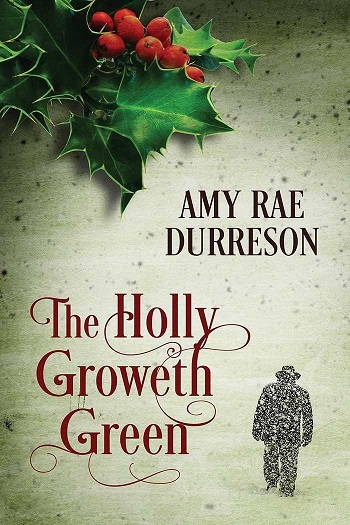 Reviewers on the Wicked Reads Review Team were provided a free copy of Stocking Stuffers: The Holly Groweth Green by Amy Rae Durreson to read and review.